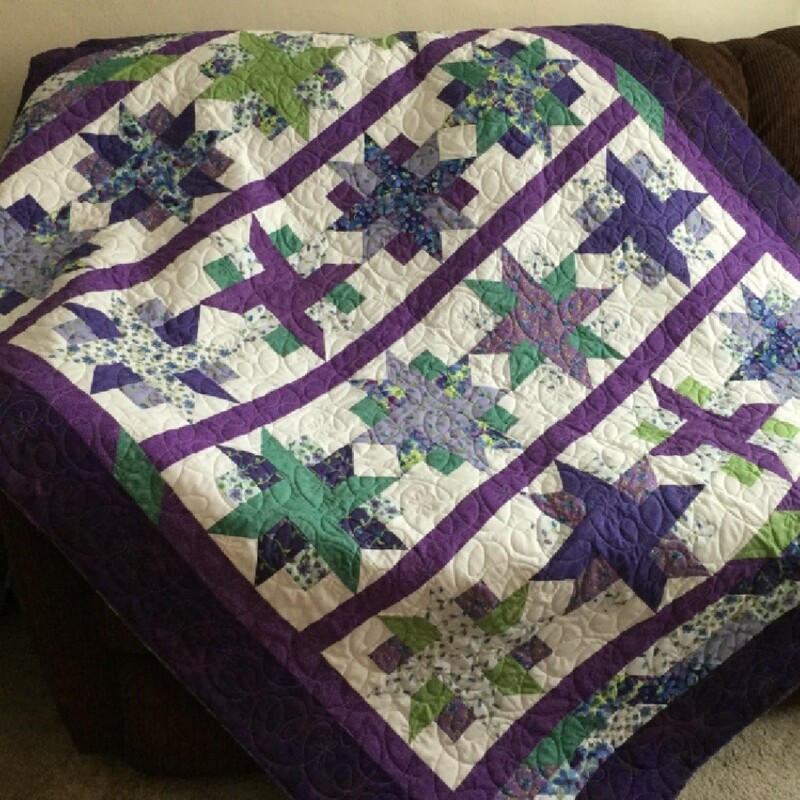 Finished another quilt. Need to bind it. Hope sister in-law likes it. Ribbon star pattern from Missouri Star Quilting video. Quilting done by Heartbeat Quilting in Spokane, awesome job.